Is the iWALK Hands Free Crutch Right For You? FAQ: Why do upper and lower leg lengths matter? Not all legs are created equal. Two people with equal overall leg length may have different upper and lower leg proportions (see diagram below). 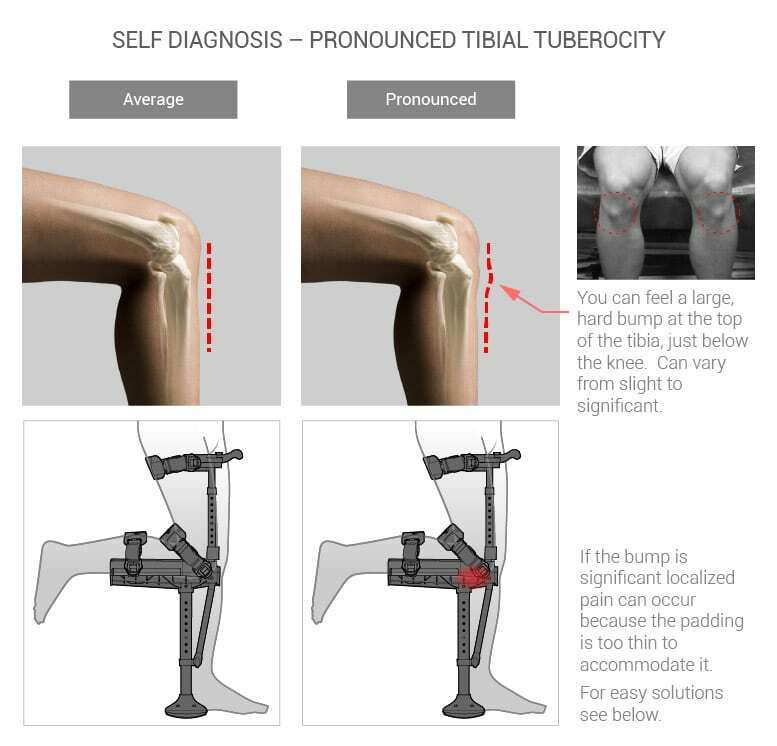 The iWALK2.0 crutch accommodates this by having both upper and lower leg length adjustments, but there are limits. 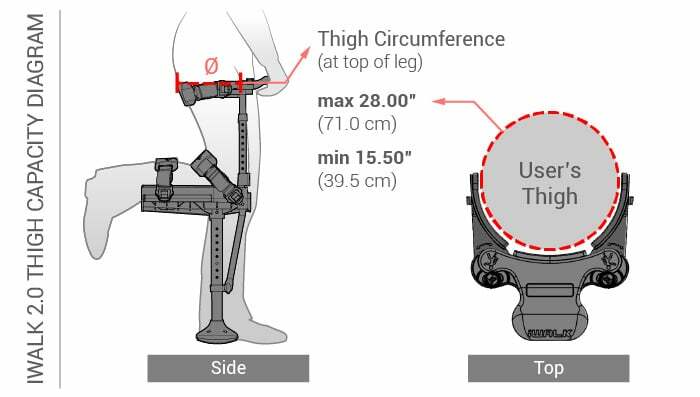 To be certain that your leg proportions are within the limits of the adjustment range of the iWALK2.0, check the chart seen above. If you are, the iWALK2.0 will fit you. FAQ: Why does it matter if I’m significantly overweight?